The nice thing about a driving vacation is the freedom to pull over when you see a site that interests you and that's exactly what we did when we saw a sign for an American World War II cemetery. The weather was awful; it was raining, cold and windy, so we didn't stay long, but it doesn't take long to feel gratitude for the lives laying in this hallowed ground given in pursuit of freedom. 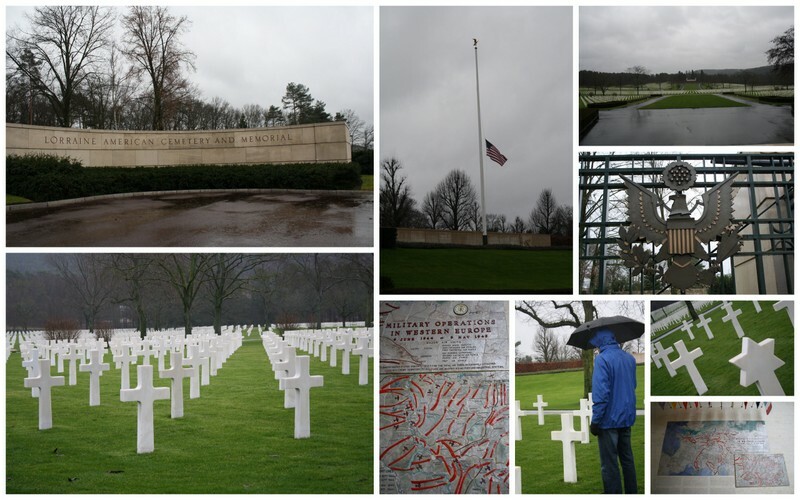 With 10,849 graves it is the largest American World War 2 cemetery in Europe.